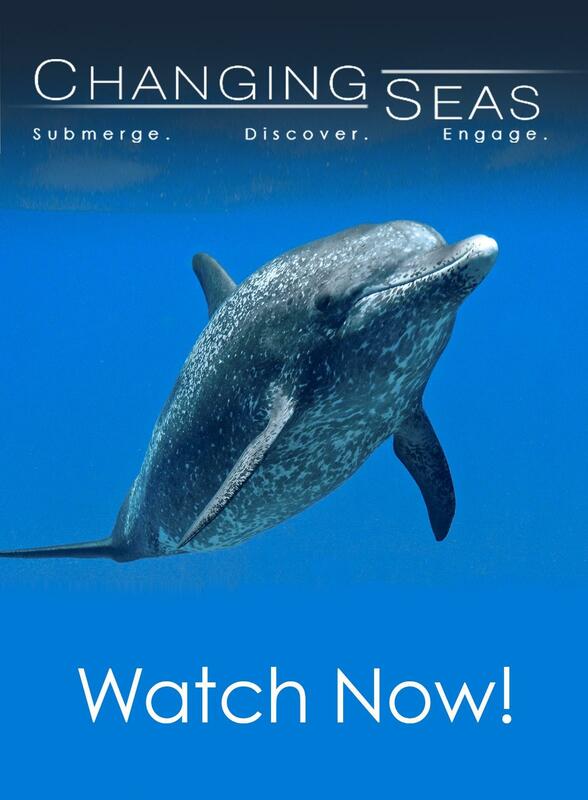 Florida’s underwater giants are back! 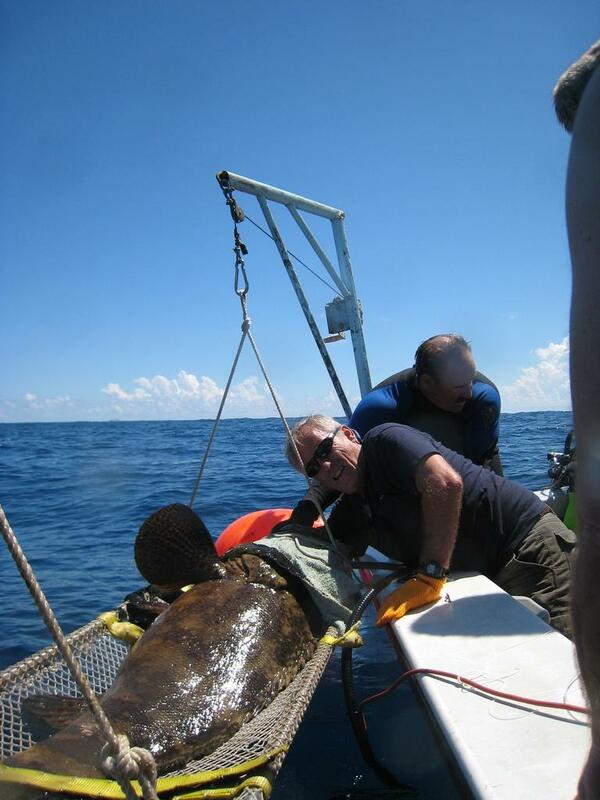 After years of over-harvesting, Goliath Grouper have made a noticeable resurgence off of Florida’s coasts. 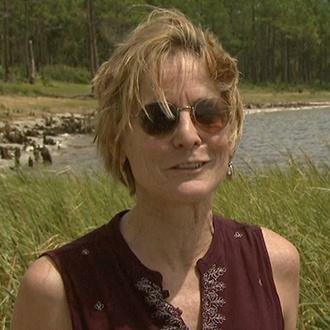 Changing Seas joins scientists in the field as they study the life history of these awe-inspiring fish. 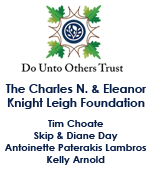 Their goal is to gain a better understanding of the species and the obstacles it faces on the road to full recovery. 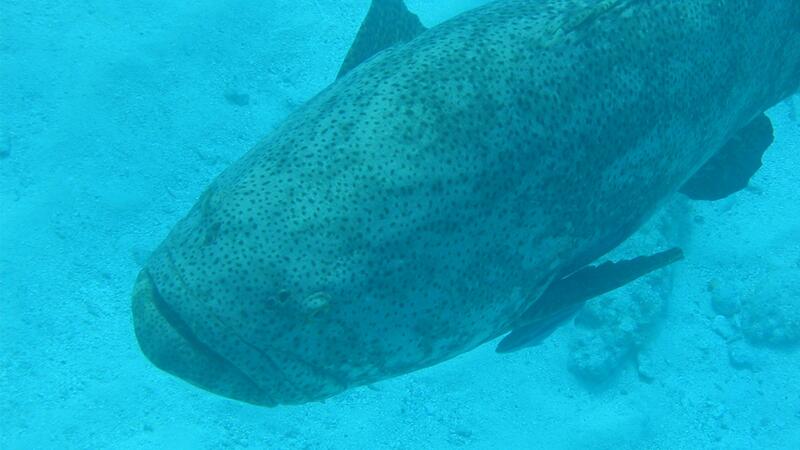 Weighing up to a thousand pounds and reaching seven feet in length, Goliath Grouper, Epinephelus itajara, are the Atlantic Ocean’s largest species of fish in the sea bass family. 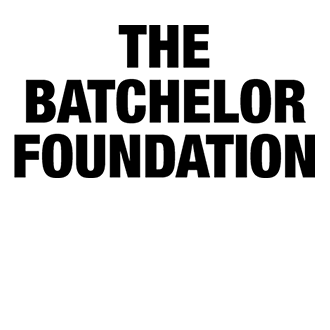 Formerly known as Jewfish, years of over-harvesting severely reduced the Goliath’s numbers, and in 1990 the fishery was closed in U.S. waters. 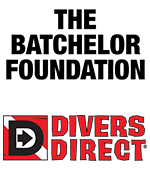 Since then, the species has had time to slowly regenerate in Florida and the fish are once again seen on popular dive sites, especially in the summertime when the animals aggregate to spawn. 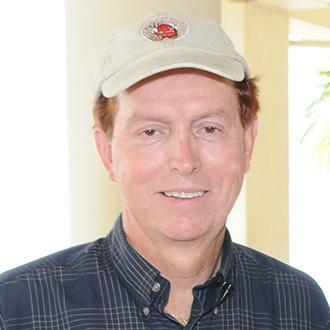 But this recovery hasn’t been a welcome sight to all – some recreational fishermen believe Goliath Grouper are devouring popular game fish, and that it is time to re-open the fishery. 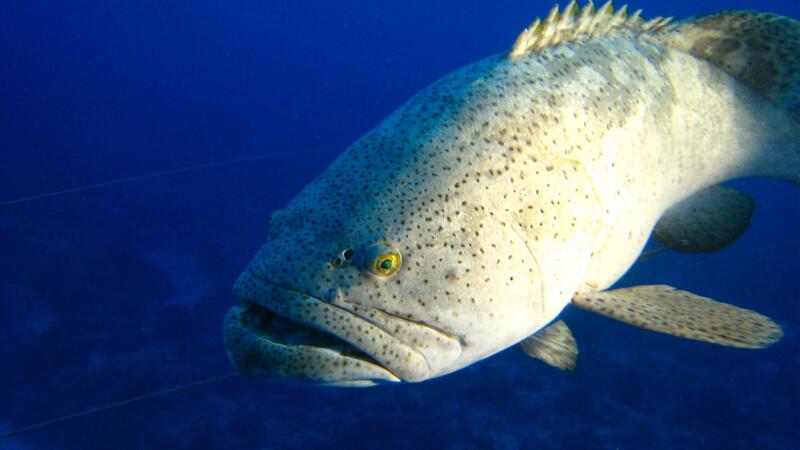 Scientists, however, have conducted studies on the grouper’s diet and determined that their main source of food is crustaceans – and not other groupers and snappers. 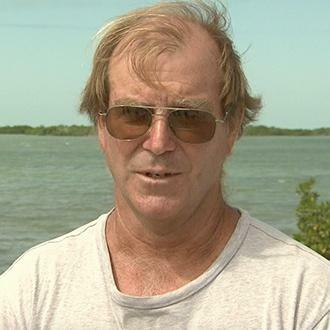 Researchers say it’s too early to re-open the fishery. 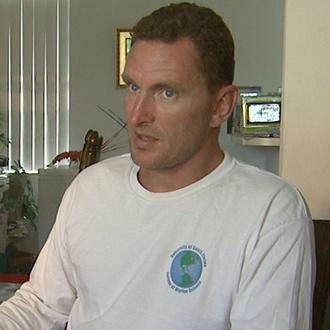 While they are encouraged by the Goliath’s recovery in Florida, the fish remain critically endangered throughout the rest of their range. Changing Seas videographers Allan Farrell and Jeremy Nicholson are getting ready to film Marine Ecologist Dr. Felicia Coleman. 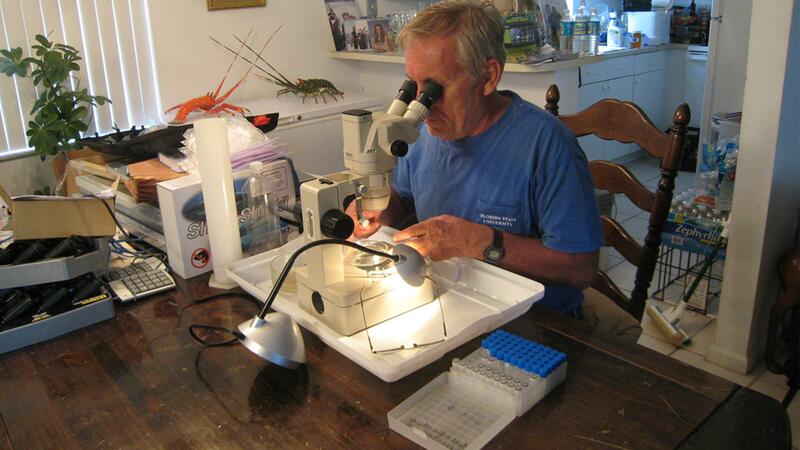 Dr. Chris Koenig analyzes plankton under a microscope in hopes of finding Goliath Grouper eggs. 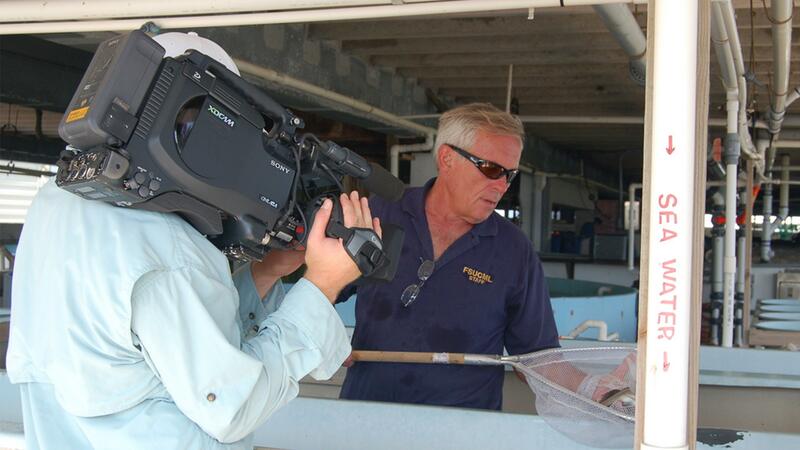 Changing Seas videographer Jeremy Nicholson films Dr. Koenig holding a net that was used to collect Goliath Grouper eggs. 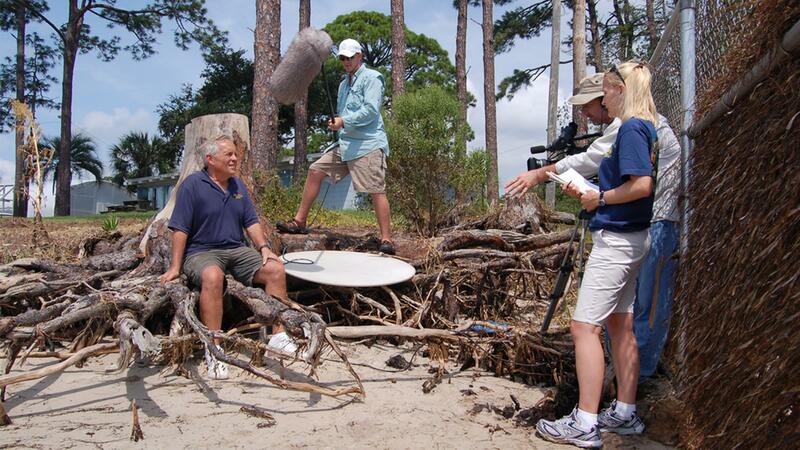 Changing Seas producer Alexa Elliott and videographers Jeremy Nicholson and Allan Farrell prepare for an interview with Dr. Chris Koenig. 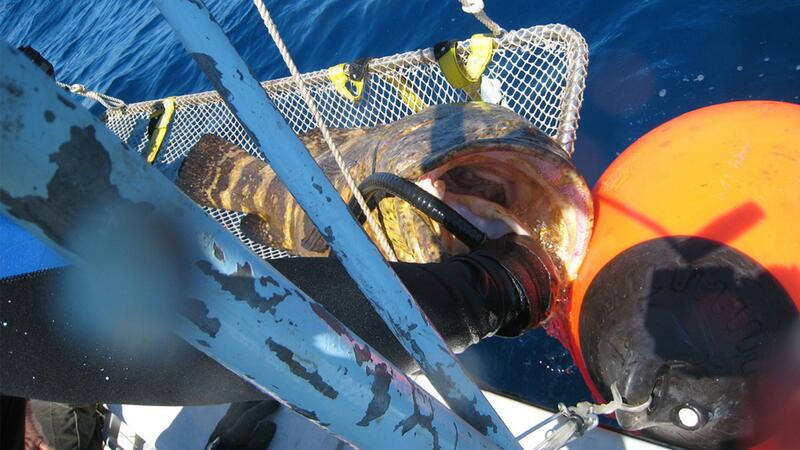 Scientists flush out the stomach contents of a Goliath Grouper. 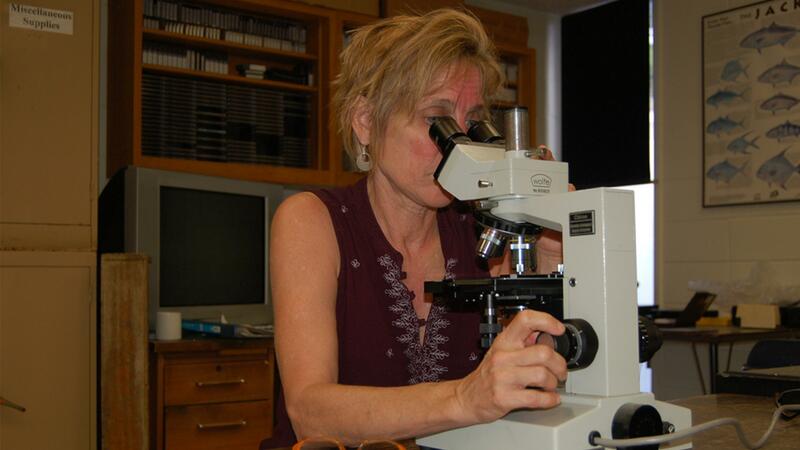 Dr. Felicia Coleman in her lab at Florida State University. 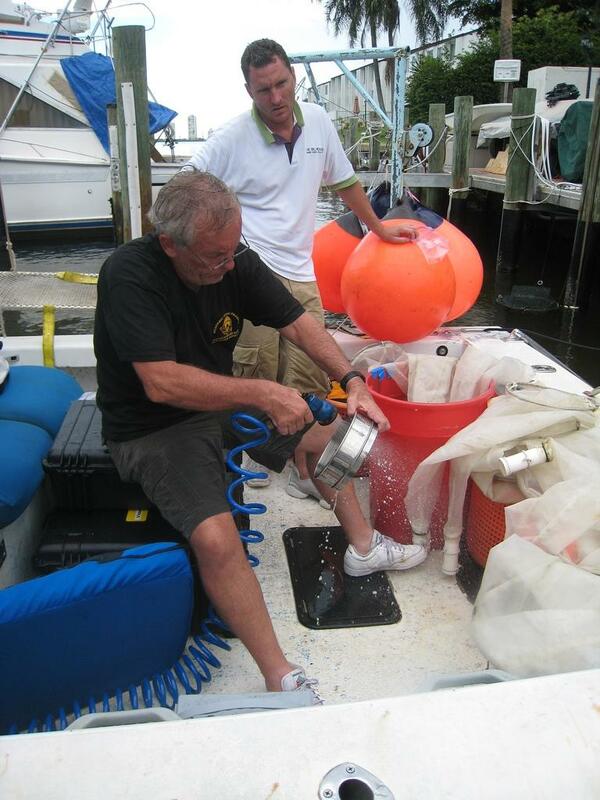 Tony Grogan (left) volunteers his time and boat for Goliath Grouper research. 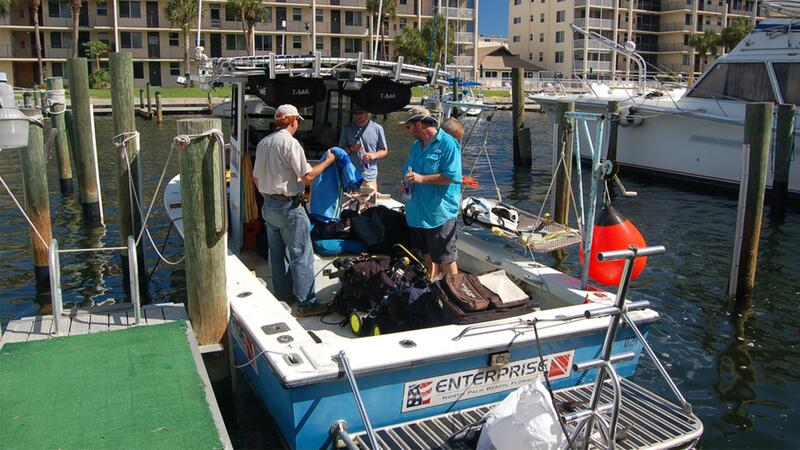 Changing Seas videographers Jeremy Nicholson (center) and Allan Farrell (right) load up the boat. 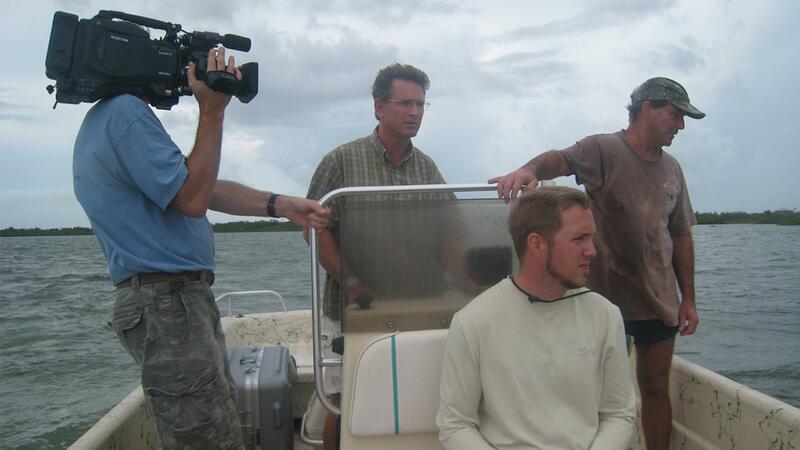 Changing Seas videographers Jeremy Nicholson (seated) and Robert Makovicka (left) with Goliath Grouper expert Don DeMaria (right) in the Florida Keys. 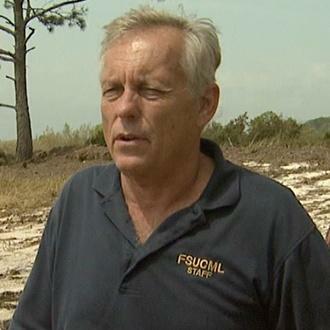 Changing Seas videographer Jeremy Nicholson filming Dr. Chris Koenig at his Florida State University lab. 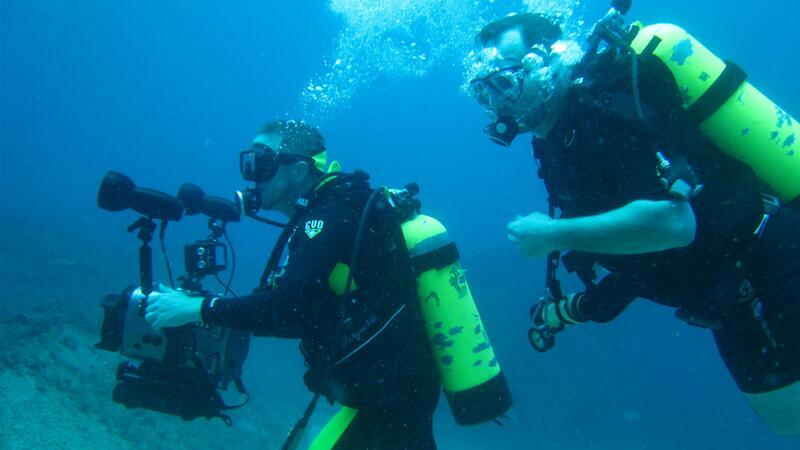 Changing Seas videographers Jeremy Nicholson (left) and Allan Farrell (right) searching for Goliath Grouper off the coast of Jupiter, Florida. 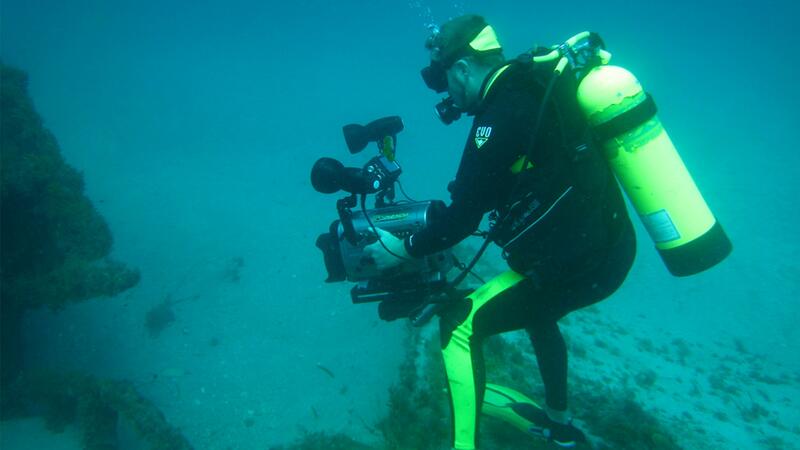 Changing Seas videographer Jeremy Nicholson filming Goliath Grouper hiding under a ledge. 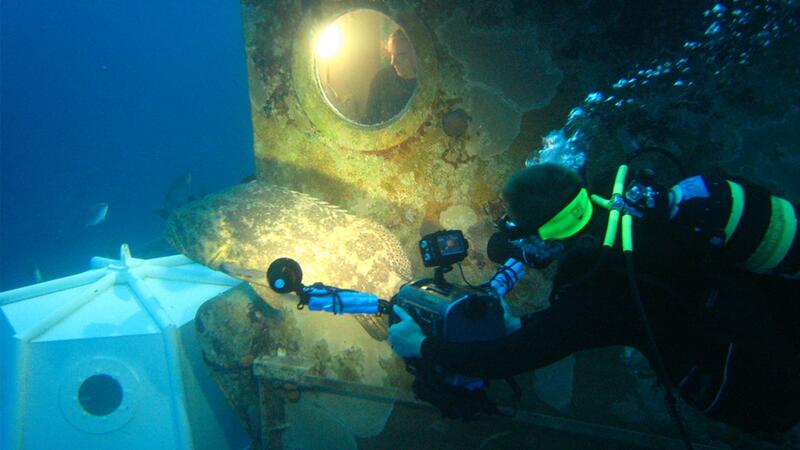 Changing Seas videographer Jeremy Nicholson gets a shot of a Goliath Grouper as it swims past the Aquarius Habitat in Key Largo, Florida. 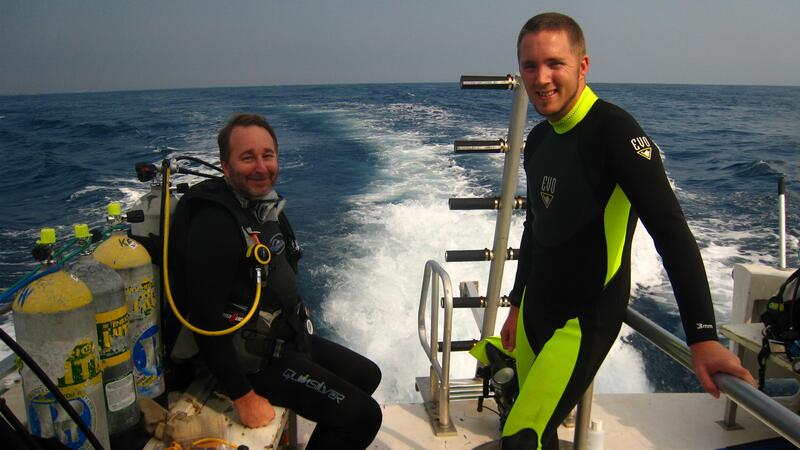 Changing Seas videographers Allan Farrell (left) and Jeremy Nicholson (right) on their way to a dive site in hopes of filming Goliath Grouper. 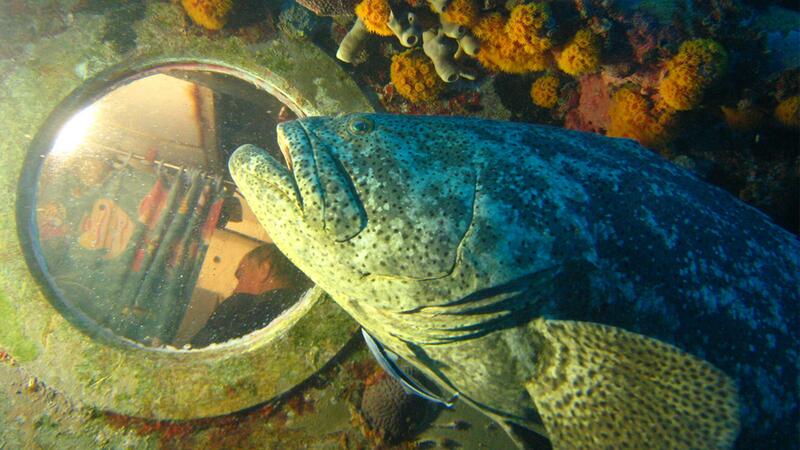 A Goliath Grouper swims near the porthole of the Aquarius Habitat in Key Largo, Florida. 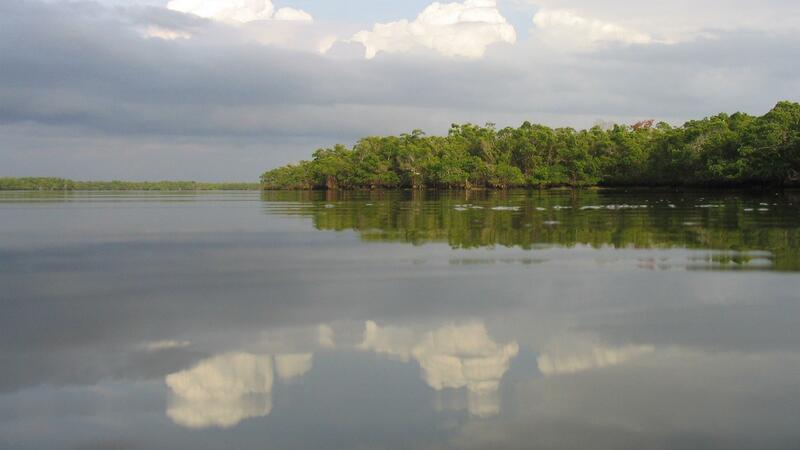 Mangrove estuaries such as the Ten Thousand Islands in Southwest Florida are important nursery habitats for Goliath Grouper. 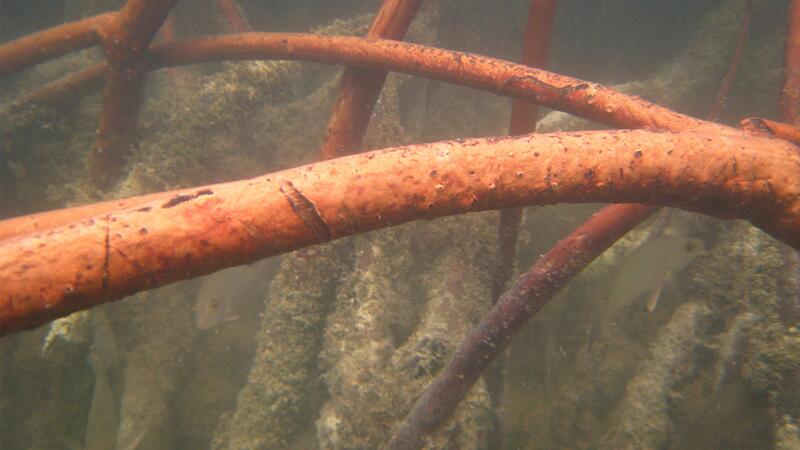 Juvenile Goliath Grouper and other species of fish are commonly found among mangrove prop roots during the early years of their life histories. 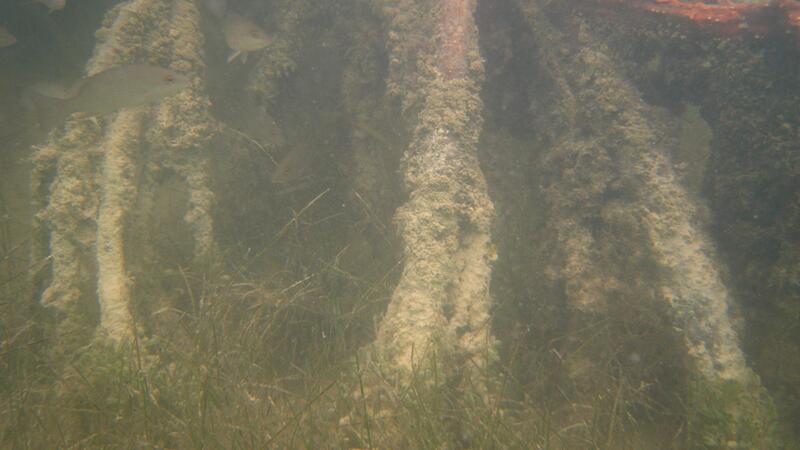 Mangrove roots provide shelter to juvenile Goliath Grouper. 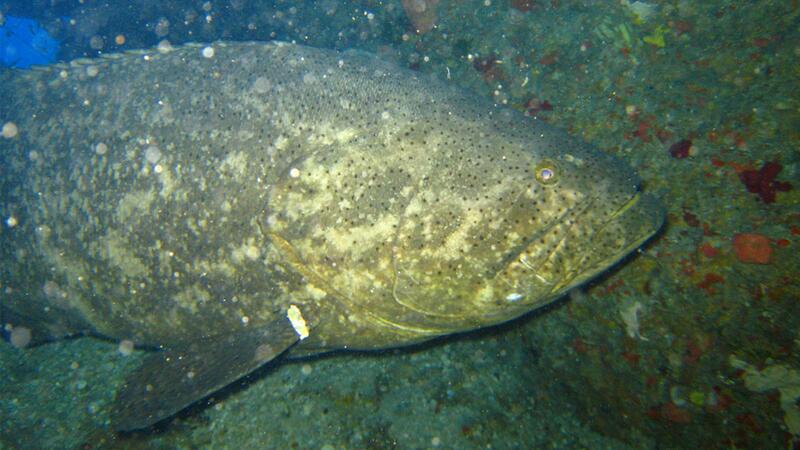 The green-gray mottled pattern of a Goliath Grouper allows it to blend in with its surroundings. 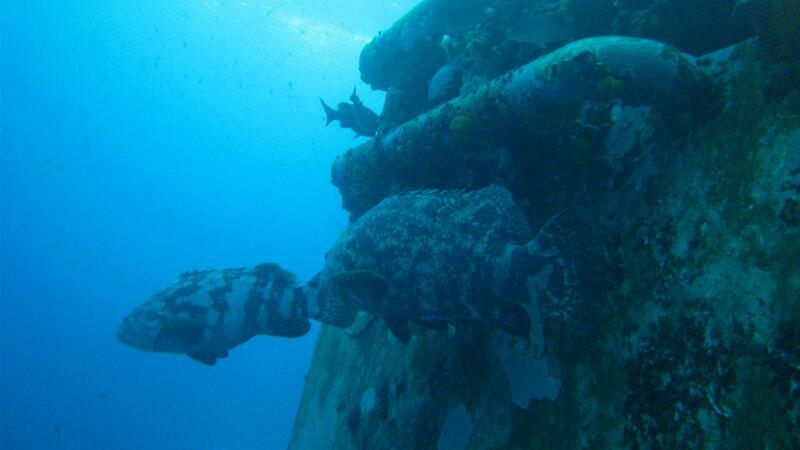 Two Goliath Grouper swim near the Aquarius Habitat in Key Largo, Florida. 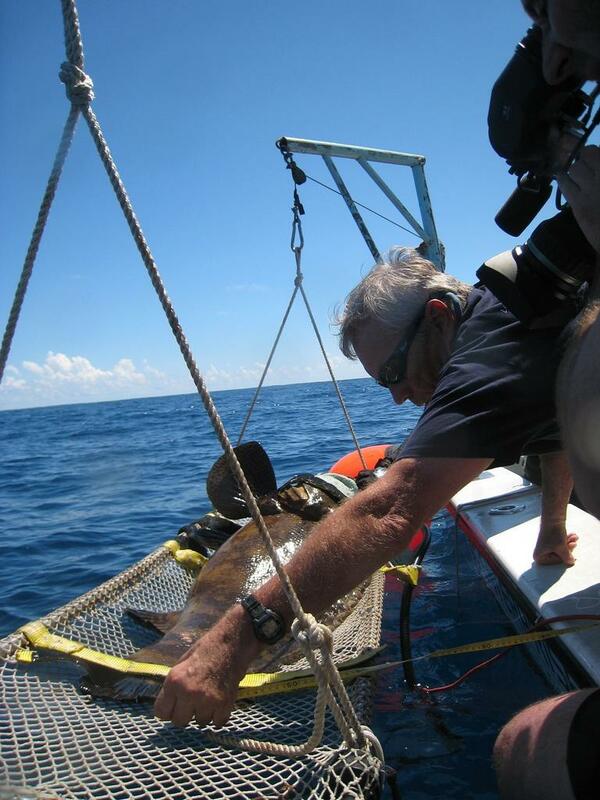 Dr. Chris Koenig measures the length of a Goliath Grouper. 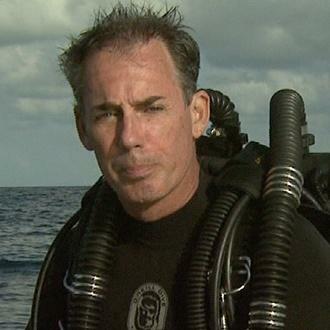 Dr. Chris Koenig reaches inside the mouth of a Goliath Grouper to extract the fish’s stomach contents. 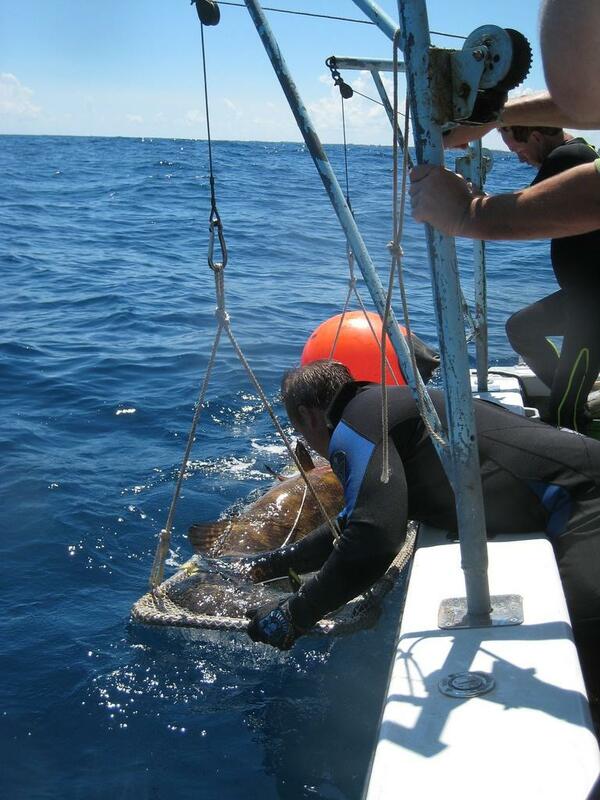 Scientists and volunteers carefully lower a Goliath Grouper back into the water after measurements and other data have been collected. 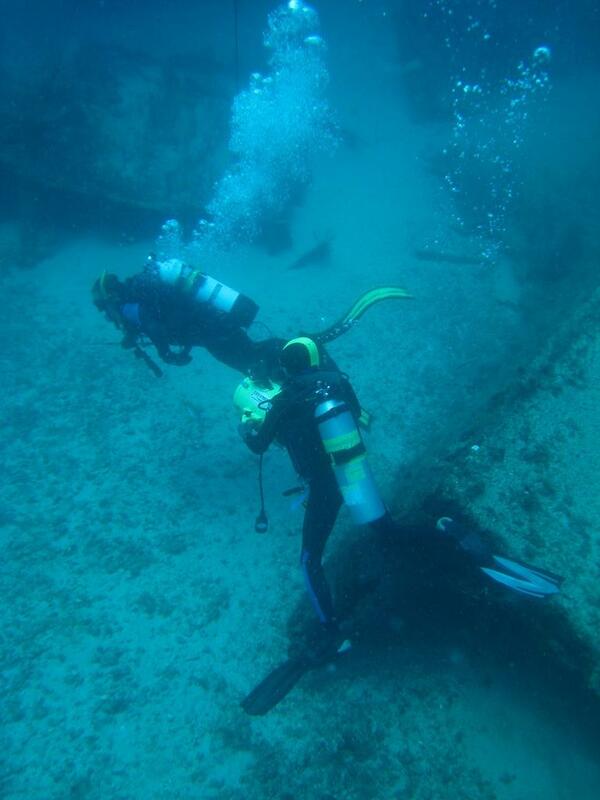 Divers searching for Goliath Grouper. 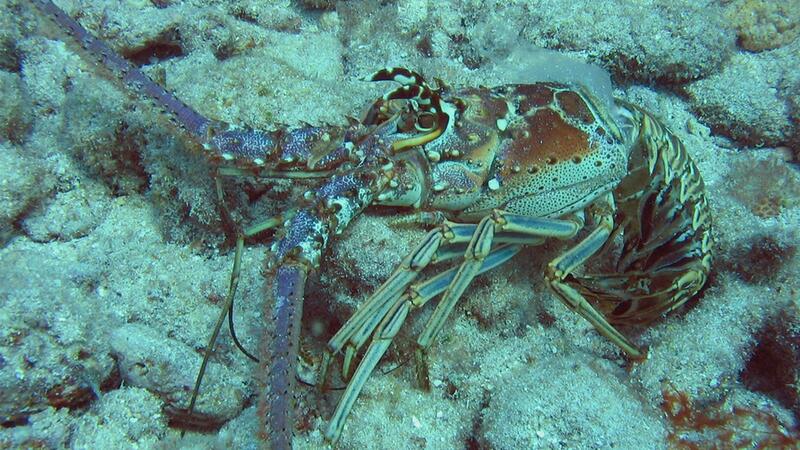 Studies show that a Goliath Grouper’s diet mainly consists of crustaceans such as lobster. 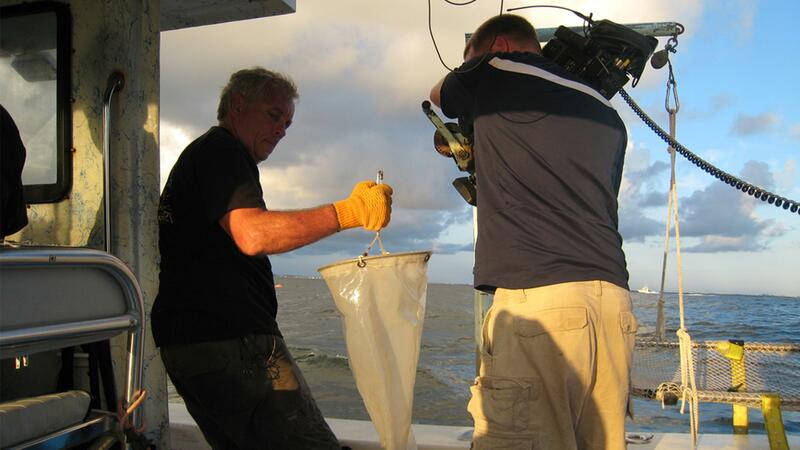 Dr. Chris Koenig and Ph.D. candidate James Locascio rinse nets they used as part of their research into Goliath Grouper spawning aggregations. 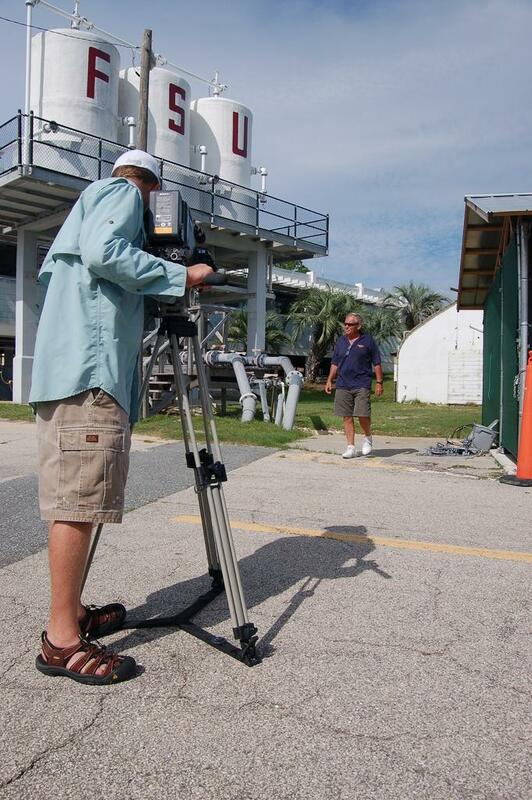 Changing Seas videographer Jeremy Nicholson films grouper expert Dr. Chris Koenig near his lab at FSU.